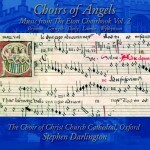 The men and boys of The Choir of Christ Church Cathedral, Oxford and director Stephen Darlington continue their exploration of the Eton Choirbook, the extraordinarily vast and diverse collection of English sacred music from the early Renaissance, with a fifth volume in their critically acclaimed series. 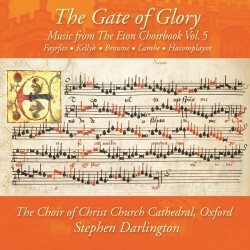 As with previous volumes, The Gate of Glory includes a world premiere recording – Walter Lambe’s Gaude flore virginali – alongside works by Hugo Kellyk, Robert Fayrfax, Robert Hacomplaynt and John Browne, the preëminent composer of the Eton Choirbook. The diversity of styles on this album is particularly striking, ranging from the astonishing balance of harmony and counterpoint in Browne’s O regina mundi, to the elegance and simplicity of Fayrfax’s setting of the Magnificat. 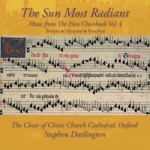 This is liturgical music which truly gives the listener a glimpse of the mystery of the eternal.